The Jungle House box shown here was originally used in the 1974 Mego Show Room and was part of a massive find in 2008, for more on that you can check out the 1974 Showroom Find Gallery. 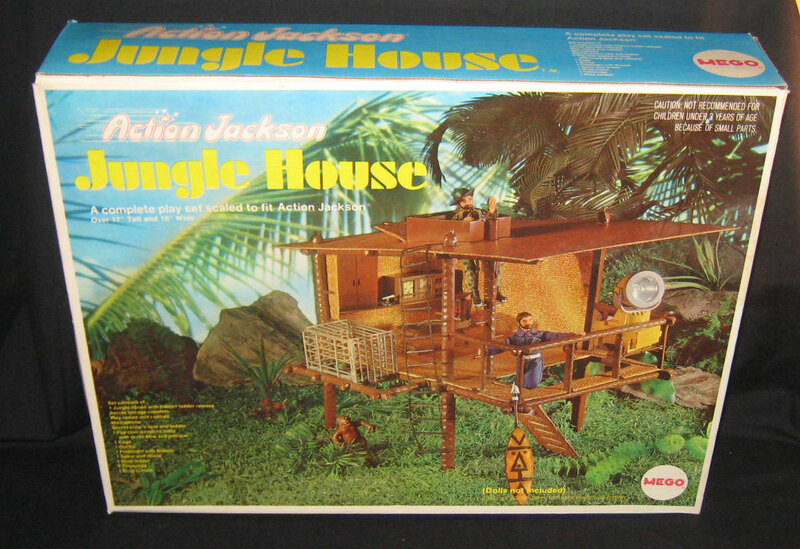 The Secret Weapons bench would confuse kids in the Planet of the Apes Treehouse. The Search Light would resurface as the bat signal in the Mego Batcave Playset. The Rope ladder was reused a few times by Mego and Animal cage was put into the Lost Continent. The cabinents hid a secret radio, another feature that didn’t make sense when you got your Apes treehouse, now it finally does! 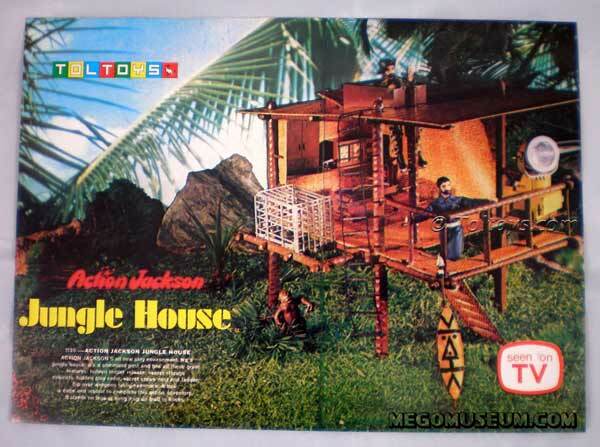 This is the Australian packaging for the Jungle Treehouse, courtesy of the amzing Toltoys Kid website.